[2009 Jan] Ben Affleck, Rwanda, and Corporate Sustained Catastrophe by Keith Harmon Snow (Part 2) Another high profile mover and shaker who helps legitimize the Kagame regime is Harvard University doctor Paul Farmer, who moved his family to Rwanda in 2008 and became a citizen there. Farmer’s Partner’s in Health project has received millions of dollars from the Clinton Foundation and Clinton HIV/AIDS programs—money rinsed from the blood diamonds and indigenous genocides in Botswana, Sierra Leone, Angola, Uganda, Rwanda, South Africa and Congo. Maurice Tempelsman, the Clinton/Kennedy family diamond broker, Democratic Party sponsor and an architect of covert operations in Africa, is the Chairman of the board of Harvard University’s euphemistically named AIDS Institute; HAI is partnered with the US Military HIV Research Program. 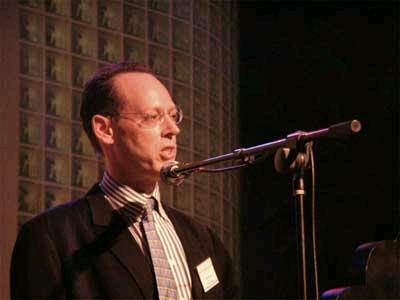 Paul Farmer is also linked to the Kagame regime’s network in Boston, where agent’s of the Kagame regime operate an intelligence cell used to identify, repress and criminalize any Rwandan people who in any way challenge the criminality or injustice of the current regime. How, one wonders incredulously, could anyone working on behalf of the Rwandan poor today have failed to challenge or distance themselves from Kagame’s Rwanda and its terrorist enterprises, in Congo at the very least, and instead works with the regime and its agents? Farmer cites the work of Samantha Power, about how the Clinton administration knowingly let genocide in Rwanda happen, as opposed to playing the active role it did in backing a covert coup d’etat and Hutu genocide. This fabricated ‘bystanders to genocide’ thesis, intentionally obtuse, won Samantha Power—a founder-director of Harvard’s highly biased Carr Center for Human Rights—a Pulitzer Prize. Farmer’s additional references and citations regarding ‘genocide in Rwanda’ are equally misinformed, examples of propaganda that intentionally blinds people.